While the future of late-night on broadcast TV remains an open-ended question of “Have you heard about this? 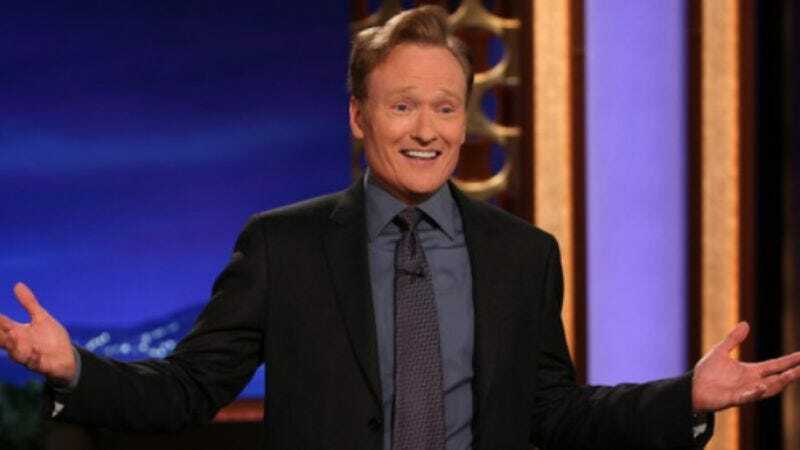 ", TBS has confirmed it’s sticking with Conan O’Brien through at least November 2015. Despite Conan’s not-that-great ratings, the network has remained committed to it as a cornerstone of their programming and allowed O’Brien to develop other shows (like the Pete Holmes-hosted one that will soon accompany his own), so the renewal isn’t particularly surprising. And this deal will keep Conan on through the fall of 2015, at which time he’ll finally be ready to take over The Tonight Show from Jimmy Fallon. That was the point of all this shuffling, right?